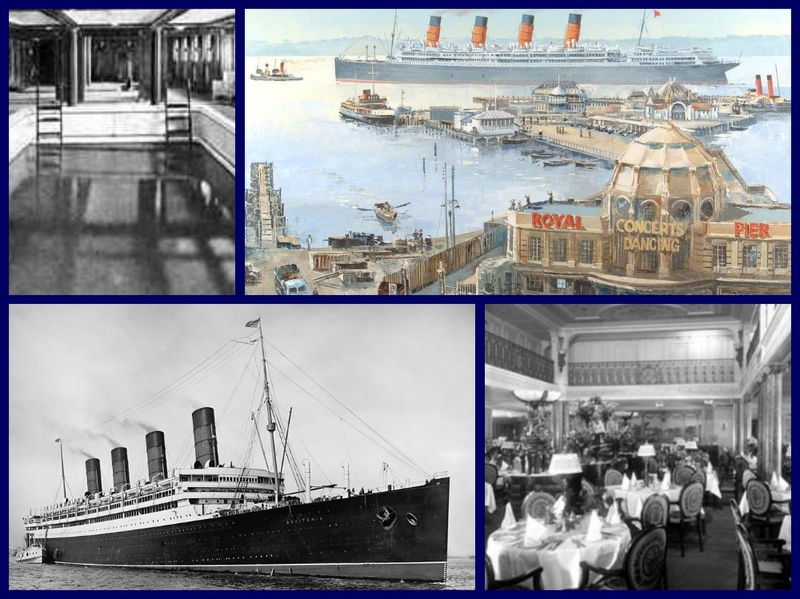 The RMS Aquitania was the longest serving Cunard liner built in the 20th century and to survive service in both World Wars. 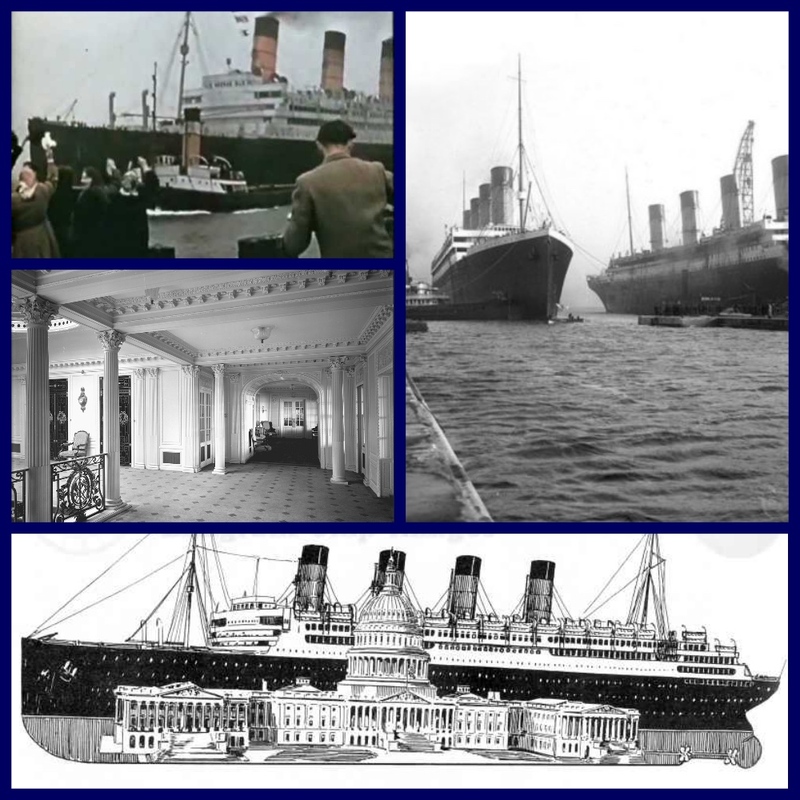 Originally the ship was planned to cooperate on the North Atlantic service alongside the Lusitania and Mauretania. The contract to build the ship went to John Brown & Co, and great publicity was given to the fact that it would be the largest liner in the world. 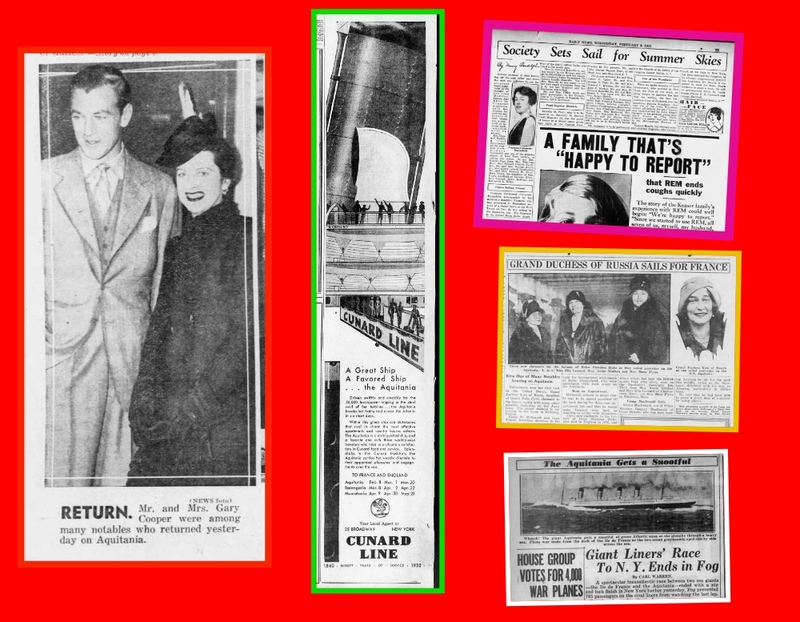 The Aquitania was launched on 21 April by the Countess of Derby in front of a crowd of over 100,000 people. 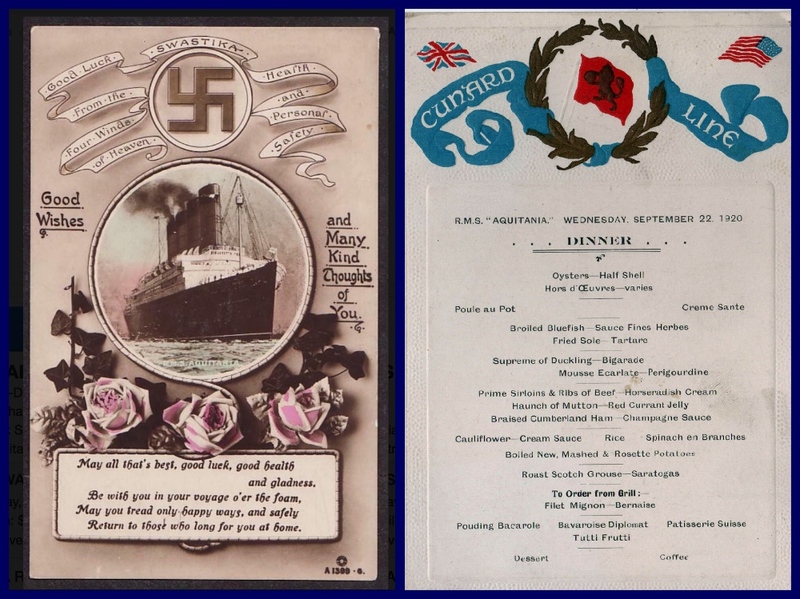 Cunard made sure that lifeboat accommodation was provided for all those on board, in the light of the Titanic disaster. It was announced in February 1914 that Captain William Turner would be the first master of the ship. 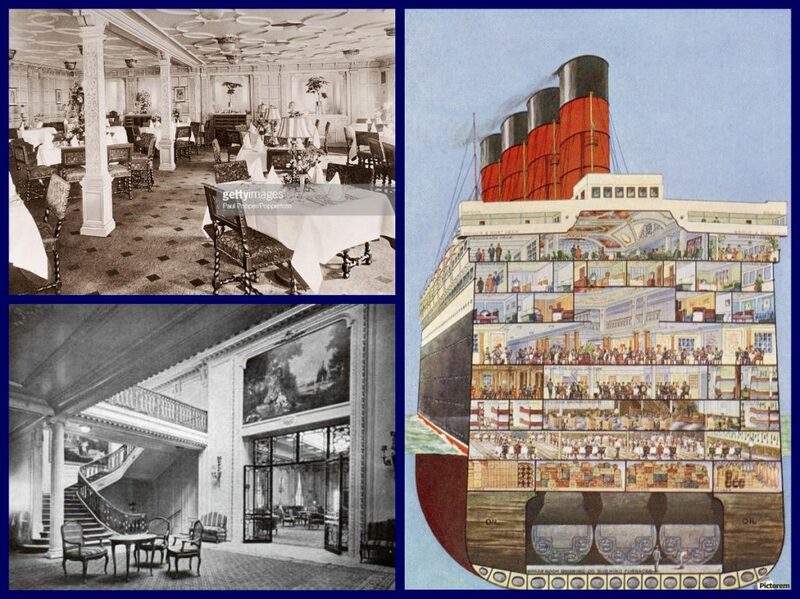 The Aquitania’s passenger accommodation was superior to anything seen in the North Atlantic before. The first class drawing room was decorated in the Adam style, copied from certain features in Landsdowne House in London. The walls were adorned with prints of English seaports and portraits of Royalty and prominent people of the day. 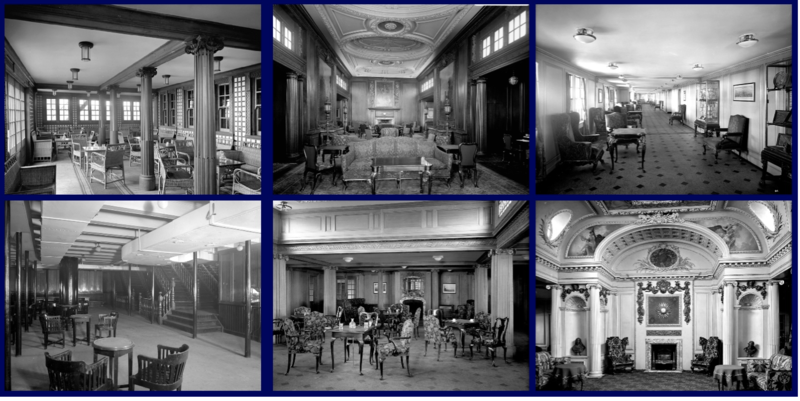 The smoking room was modeled on Greenwich Hospital with oak paneling and beams, the restaurant was decorated in Louis XIV style, and the grill room was decorated in Jacobean style. 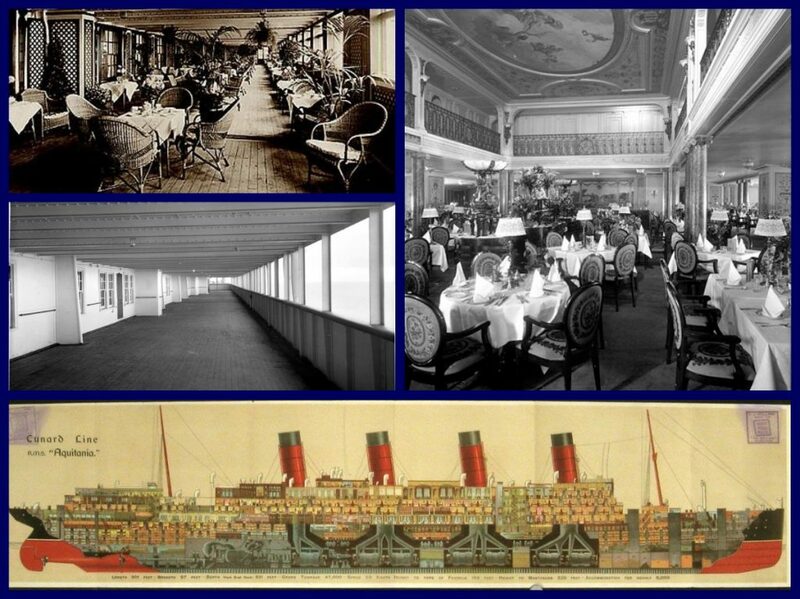 With public rooms of this standard and passenger cabins superior to those on previous Cunarders, it was no surprise that the Aquitania became one of the best-known Cunard liners. Aquitania left Liverpool on its maiden voyage on 30 May 1914, bound for New York. 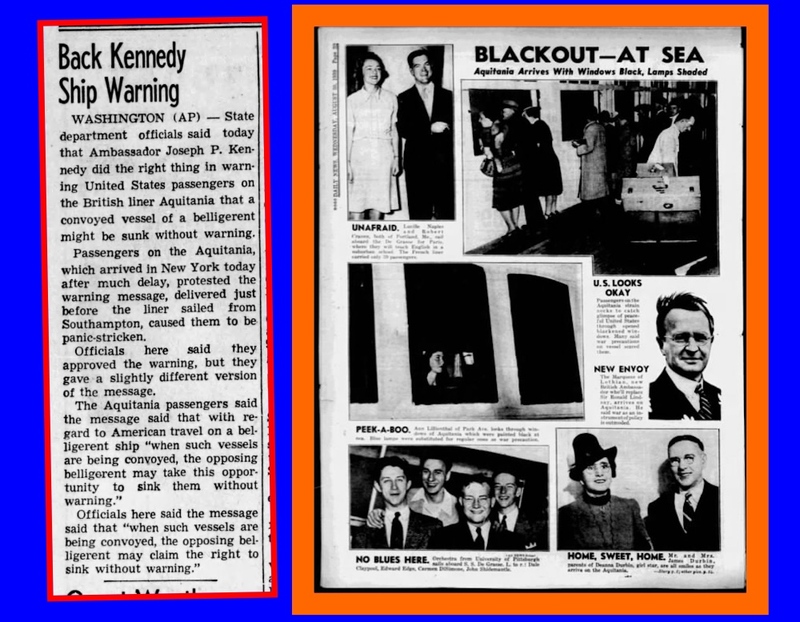 The tragic loss of the Empress of Ireland, and 1,000 of those on board, the day before overshadowed this event. 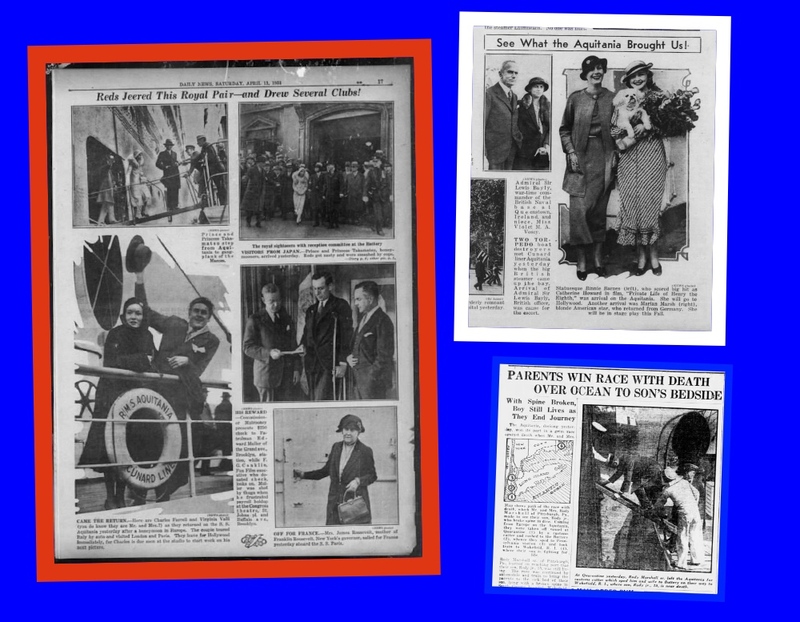 The ship made two more voyages to New York before the outbreak of World War One. On its next voyage in this role, it collided with the Leyland ship Canadian on 22 August, during thick fog, and had to return to Liverpool. The subsequent inquiry concluded that the Aquitania was too large to be used as an armed merchant cruiser. It was served as a hospital ship and after the war ended it was also used in the repatriation of Canadian troops. 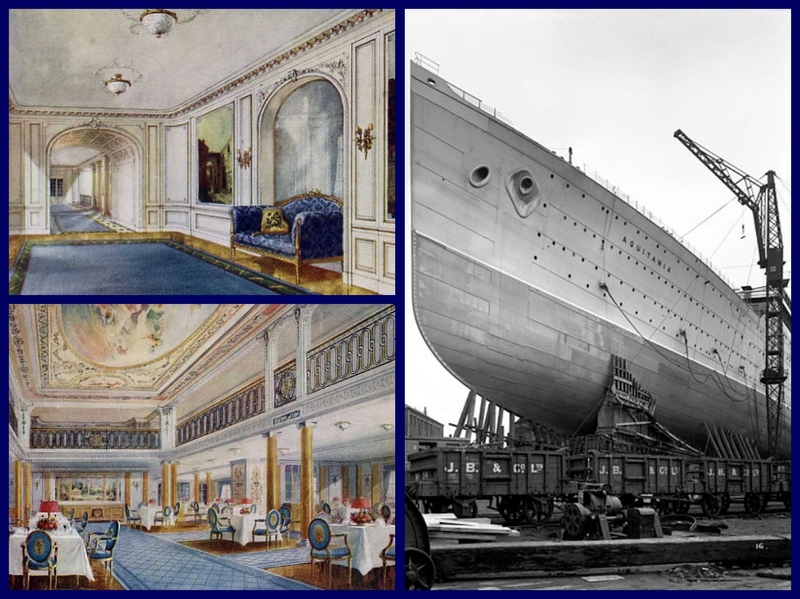 From November 1919 until June 1920 the ship underwent an extensive refit at Armstrong Whitworth & Co on the Tyne. 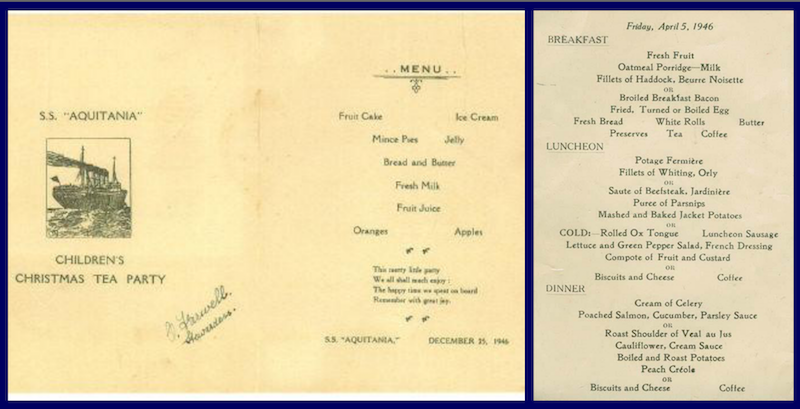 The ship then operated on the Southampton-Cherbourg-New York route, along with the Mauretania and the Berengaria. She carried some of the most famous people in the world along with tourists, commercial travelers, and immigrants. 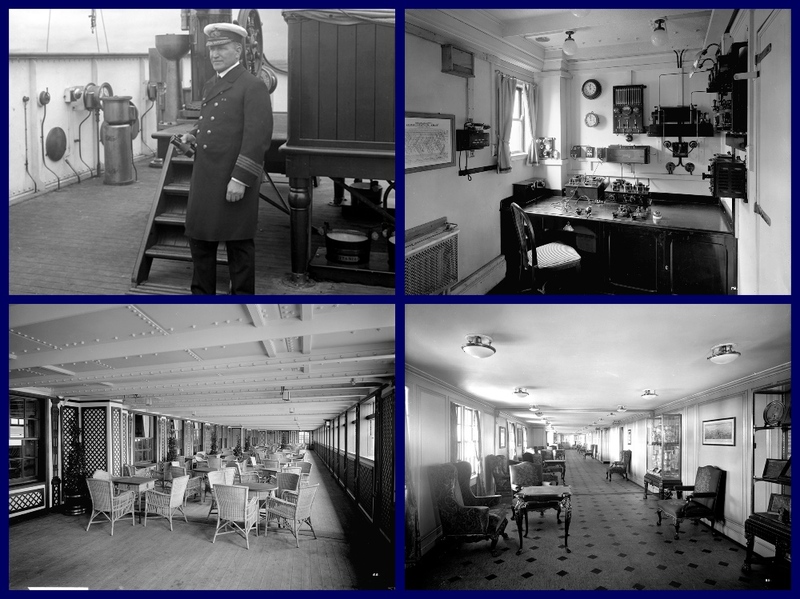 During annual winter refits in 1926 1927 and 1928, the passenger accommodation was extensively modernized. In 1930 it was even used as an art gallery for one voyage. 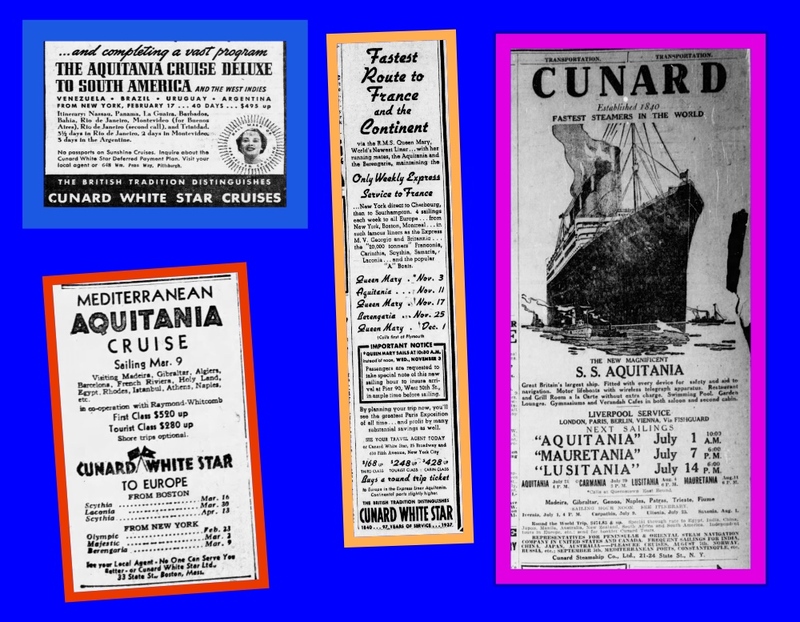 In 1932 the Aquitania was used as a cruise ship for the first time. It left New York on 3 February and sailed around the Mediterranean. Further cruises on this route and New York-Bermuda route were accomplished later in the year. In November the ship underwent considerable internal reconstruction. 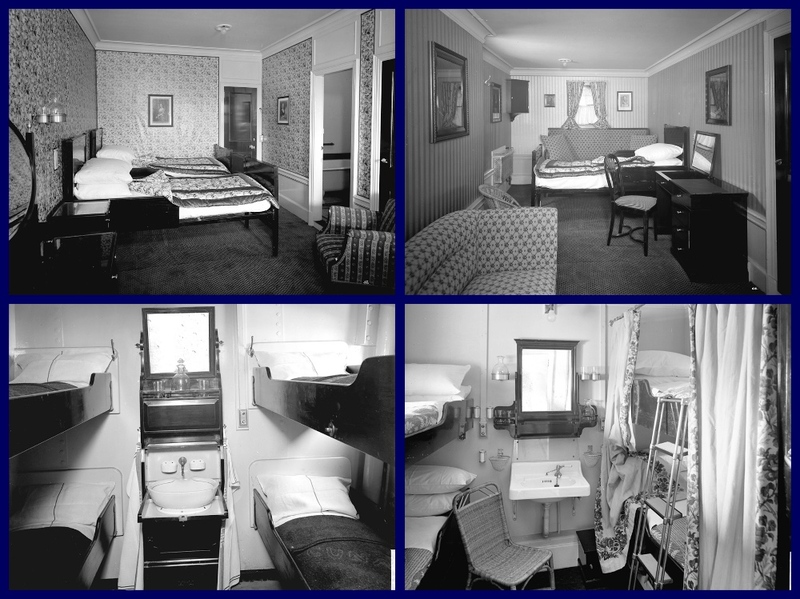 The first class accommodation was reduced to 650, tourist class was enlarged but the passenger accommodation reduced to 600 and third class was altered to cater for 950 passengers. 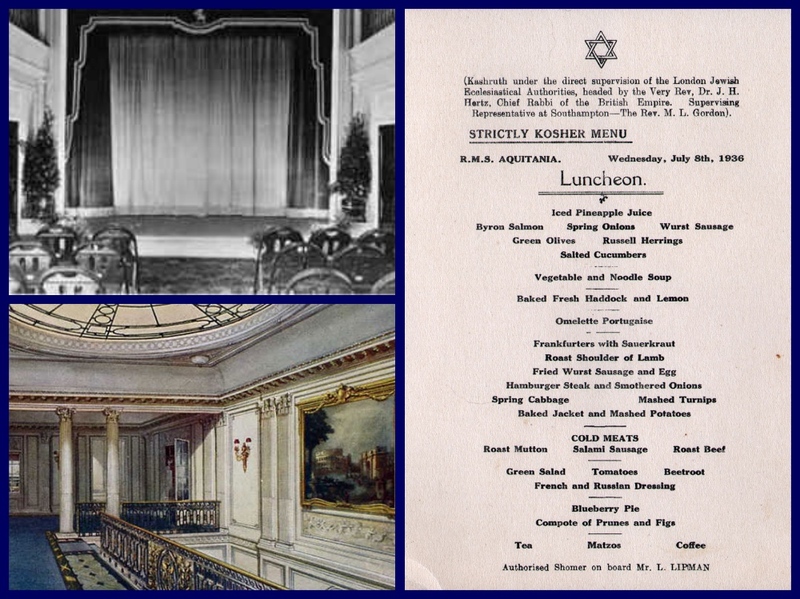 All public rooms were renovated, and a theatre was added. 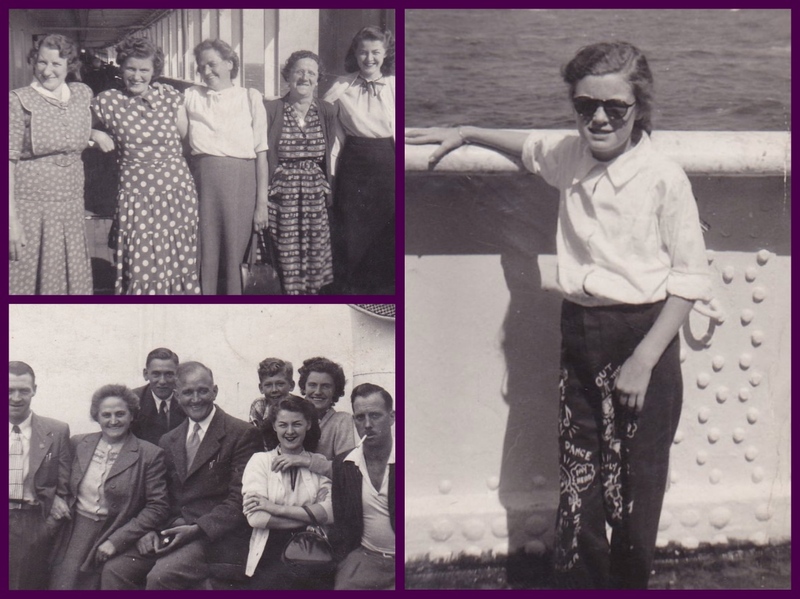 For the rest of the period up until the Second World War, it continued a mixture of Atlantic crossings and cruises. The Aquitania was then requisitioned as a troop transport on 21 November 1939. At first, it was used to transport Canadian troops. During 1940 it underwent a refit in America and was defensively armed with six-inch guns. From March onwards it was based in Sydney transporting Australian and New Zealand troops, also making two passages between Pearl Harbour and San Francisco. For the remainder of the war, it was employed on the Atlantic, and after the war had ended in the repatriation on Canadian and American troops. Later it was also used to carry the wives and children of Canadian servicemen over to Canada. 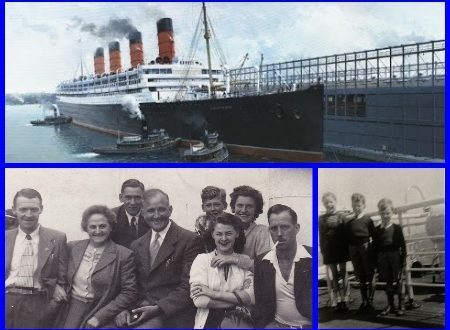 On April 1, 1948, it was released by the Ministry of Transport and returned to Cunard. It operated between Europe and Canada. 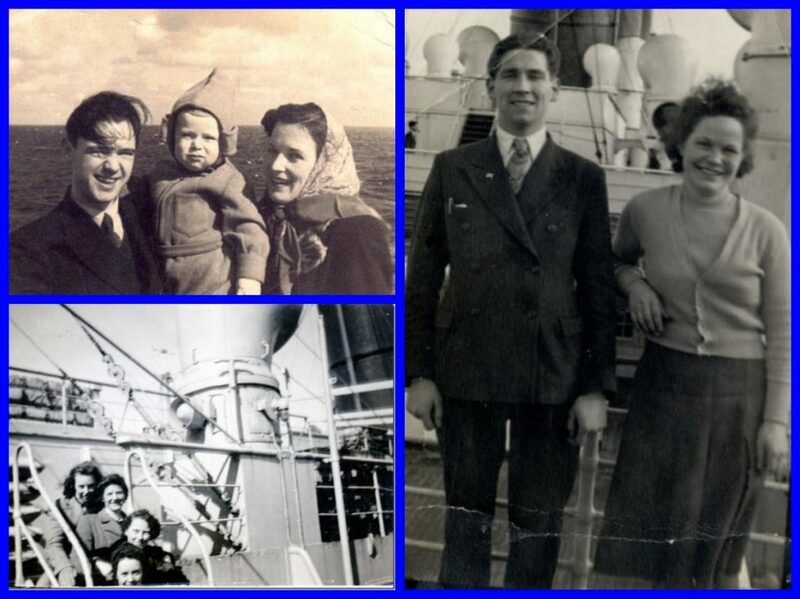 Carrying passengers along with war brides and immigrants. In 1949 the Aquitania would be withdrawn from service. In 1950 the ship sailed to Scotland where she was broken up. Next: J. P. Morgan’s former yacht CORSAIR sailed as a deluxe cruise ship from California to Mexico until disaster struck in 1948.